Why we start with a minimal viable service – it’s not the end game! 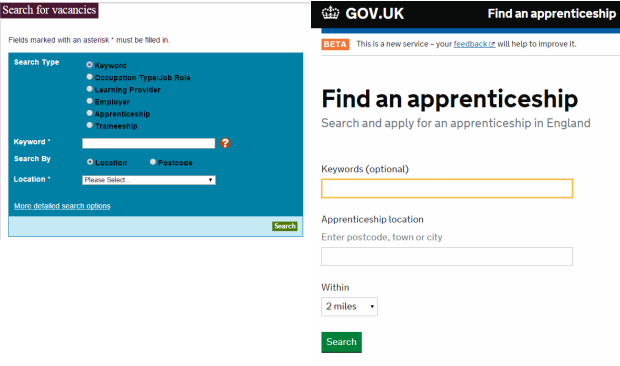 The 'find an apprenticeship exemplar has been in public beta for over a month, since our launch on 9 December 2014. We achieved our goal to deliver a ‘minimal viable service’ which would allow candidates to effectively search and apply for an apprenticeship. I talk about the background to the project in this video. Why was the Apprenticeships site chosen as an exemplar? The Apprenticeships website has been fundamental in supporting the growth of apprenticeships by providing access to advice and information, and by advertising vacancies. the transition between advice/information and applying for an apprenticeship was disjointed. the journey and functionality for candidates to search and apply for apprenticeships needed to be streamlined and centred on how they want to be engaged with. it was difficult for employers to advertise themselves in a way that supported their business needs. requiring providers to post apprenticeships on behalf of employers was inflexible. In addition the ways we delivered improvements to these services was not cost effective, and was based on policy requirements, not user need. Why a minimal viable service? Is that it? We needed to make a significant shift from designing a service around policy, to designing a service around user needs. We’re focussing first on our main users: those searching for and applying for an apprenticeship. But why minimal? We wanted the biggest “bang for our buck”: maximum learning with minimal effort. When you deliver a ‘minimal viable service’ you deliver the smallest amount of functionality that will give you the largest amount of learning about users. You can then refine and evolve the service based on that user feedback. We have been developing new “search and apply” user journeys and are continuously testing them with users. It would have been easy to replicate the previous Apprenticeship site and journey, but that wasn’t what our users wanted. We know that based on feedback. What we released on 9 December was a full journey that allowed a candidate to achieve their goal of searching and applying for an apprenticeship. This was based on a clear understanding of the steps an individual needs to achieve this, best practice and extensive end user feedback. Nothing more, nothing less. So far we’ve had over 18500 users making over 36000 applications. 31% of visits to the new service are using a mobile device. Yes. Both in terms of realising all the user needs of candidates and supporting the wider user needs of employers, providers, careers advisors etc. Releasing a minimal viable service isn’t the end game, it’s just the start. Now we’ve released our service into beta we can learn from real user behaviour. We are taking on board user feedback, calls to our helpdesk, and wider service behaviour analytics. 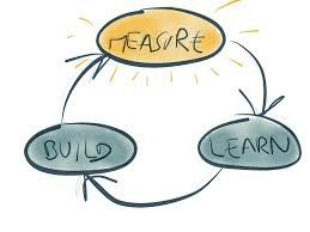 All this feeds into how we iterate our service. The great thing with this approach is that we don’t have to store all this up for a release in six months. As soon as we have designed, developed and tested our next set of features/improvements, we’ll release them to live so users can start benefiting. We will be publishing a blog in advance of new functionality and feature releases, so please check back soon. Keep in touch. Sign up to email updates email updates from this blog or subscribe to our feed.